Curfews were instated in the central district of Kandy, a popular tourist destination that was the epicentre of clashes that began on Sunday when protesters from the Buddhist Sinhalese majority attacked Muslim businesses, homes and mosques. Muslims make up about nine per cent of Sri Lanka’s population. 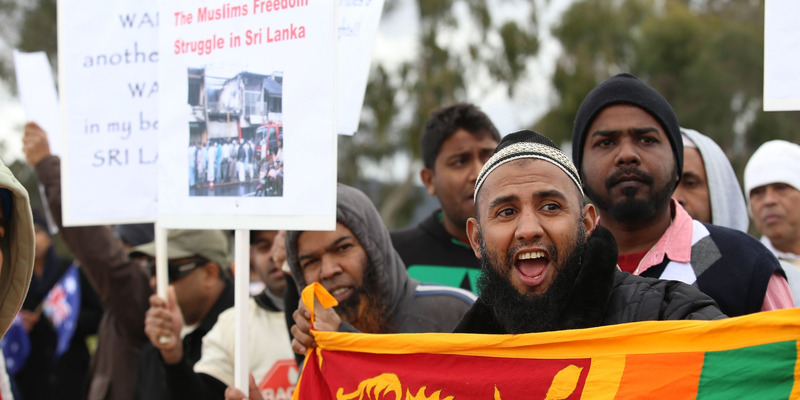 The driver’s funeral was held on Monday, sparking anger in the local Sinhalese community which fuelled attacks on Muslim properties, Reuters said. “Four mosques, 37 houses, 46 shops and 35 vehicles damaged in Digana and Teldeniya area due to the mob attack,” a local official told the BBC. “Everything is destroyed. Muslims live in fear,” he told the BBC. The US State Department has issued a security alert for travellers and personnel on the island and said further violent incidents remain a possibility in Kandy and several other districts in coming days. Sri Lanka was in a state of emergency for 26 years as the government fought Tamil rebels during the country’s civil war, which ended in 2009.